SAN JOSE, Calif. -- The Santa Clara County Board of Supervisors has voted to support an application to request state money to fund a new jail facility in San Jose. 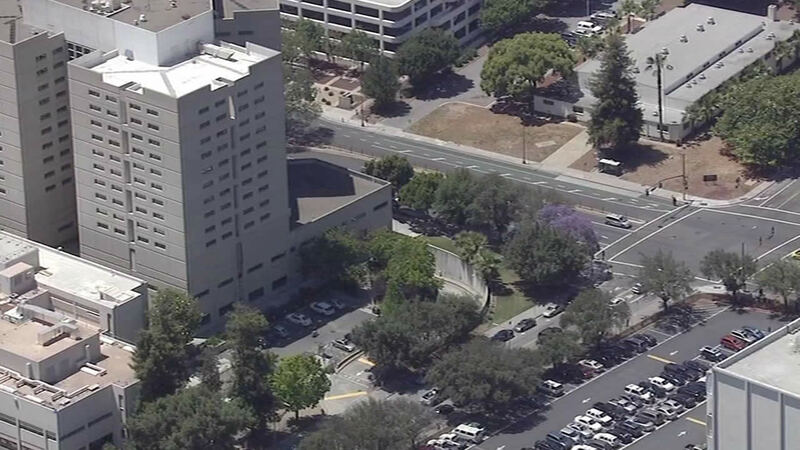 The Board unanimously adopted a resolution allowing county staff to send an application to the state before an Aug. 28 deadline to ask for funding for the new jail facility at 150 W. Hedding St. near North First Street, which would be called Santa Clara County Main Jail East. The county is requesting the funds from the state through Senate Bill 863, a law passed last year that has set aside $500 million to construct new jails through a grant program, according to the resolution. A draft of the 51-page application asks for $80 million, the amount permitted for large counties, from the Board of State and Community Corrections, which is administering the grant program. The two-year construction project would start in September 2017, according to the draft application. The seven-floor facility, estimated to cost $243 million, would be built next to the Main Jail North facility along San Pedro Street, which would provide 815 beds for inmates housed in five floors, county Chief Operating Officer Gary Graves said. The project would only produce 18 additional beds due to the planned closures of the Main Jail South facility and some housing units at the Elmwood Correctional Facility in Milpitas, he said. The new facility would accommodate the increasing inmate population resulting from the state's realignment program passed in 2011, allowing people convicted of less serious, nonviolent and nonsexual felonies to serve their sentences in county jail instead of state prison, county officials said. "We're not really in the jail business. We're transitioning into the prison business," Graves said. "I appreciate that the design for this jail is being considered with a whole new perspective in terms of realignment and who we're getting in custody," Supervisor Cindy Chavez said. The proposed facility would also have a floor dedicated to the county's Reentry Services for people serving 90 days or less left on their sentence to obtain services from community organizations, out-of-custody medical and mental health providers and receive employment resources, Graves said. When asked by Supervisor Ken Yeager how much the project would cost with interest over 30 years, Graves estimated $458 million. Supervisor Joe Simitian supported the county's application for the state funds, but echoed Yeager's concerns regarding the project's costs. Supervisor Mike Wasserman said he hopes the county receives the grant, given its work in reducing recidivism and its Reentry Services, which have been recognized by the state. The state is expected to issue a decision by November and if the application is approved, the county would have four months to either accept or reject the offer, Graves said. Board president Dave Cortese asked for county staff to check-in with the board between now and November to start answering questions regarding financing and other issues. "Even if we don't get $80 million we still have the facility issue to deal with. The problem won't go away," Cortese said.